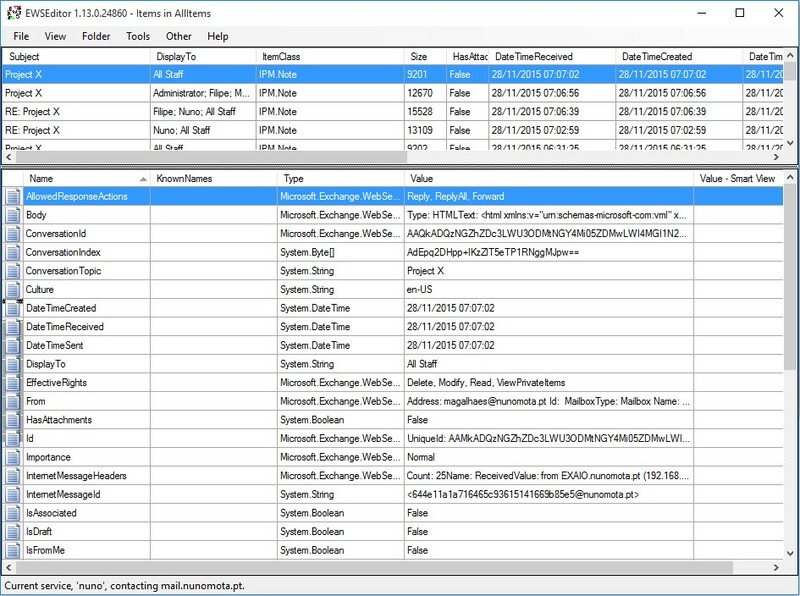 Using PowerShell, Exchange administrators can develop scripts to do almost everything. However, there are occasions where a script that uses Exchange Web Services (EWS) is required, may that be for an administrative task or to develop an entire application. 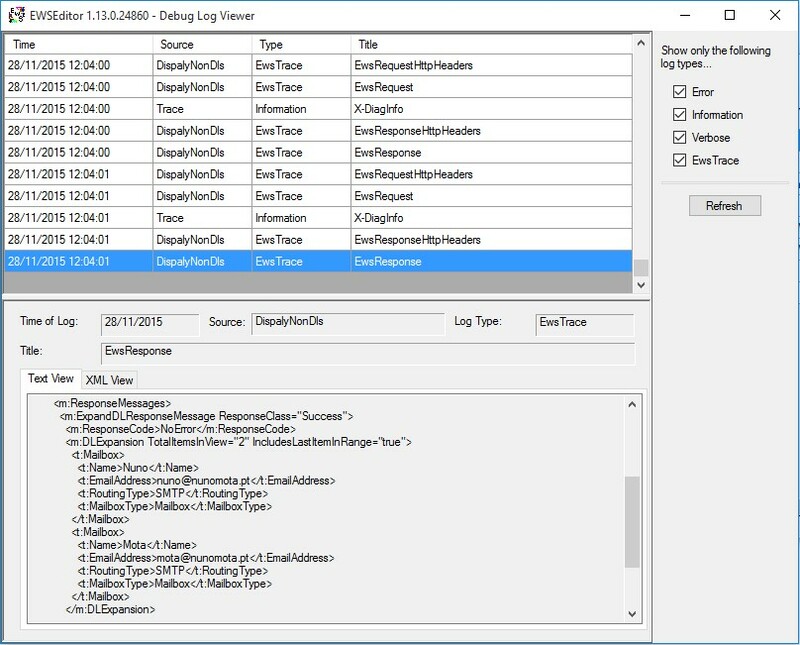 Assist non-developers in debugging and understanding Exchange stores by exploring items, folders, and their properties in depth." 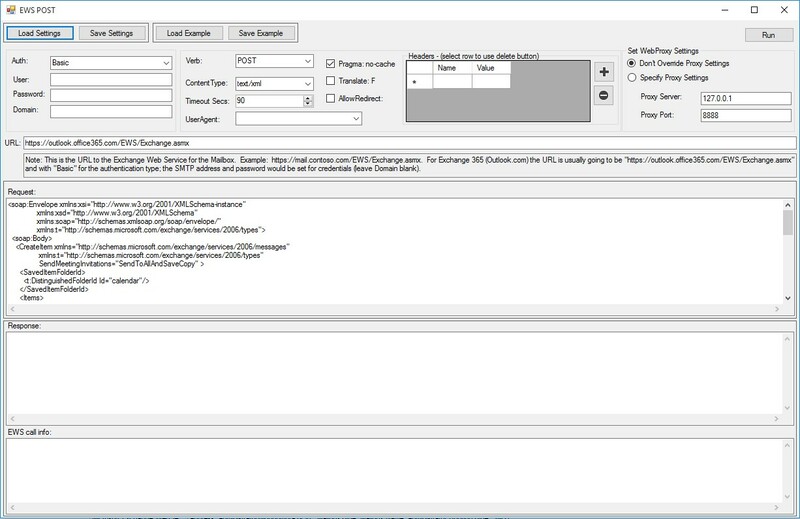 Each release of EWS Editor includes the distribution of the EWS Managed API it was built for. 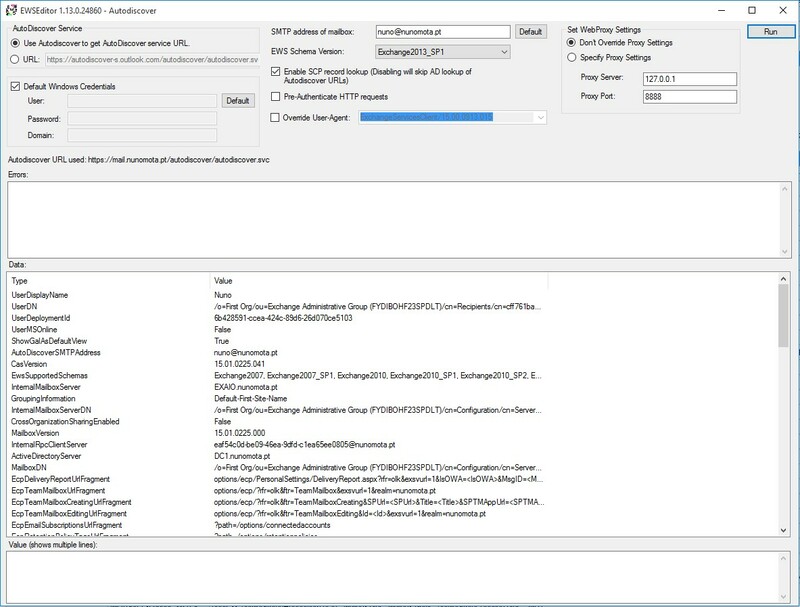 EWSEditor uses .NET Framework version 4.5 which can be downloaded here: .NET Framework 4.5. 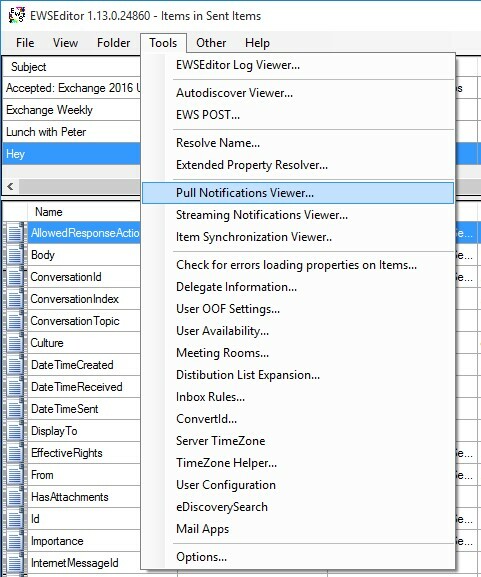 The latest version of EWS Editor (from May 2015) uses .EWS Managed API 2.2, which requires a minimal of .NET 3.5. EWS Editor can be downloaded from CodePlex. EWS Editor is, in some ways, similar to MFCMapi, another great tool. 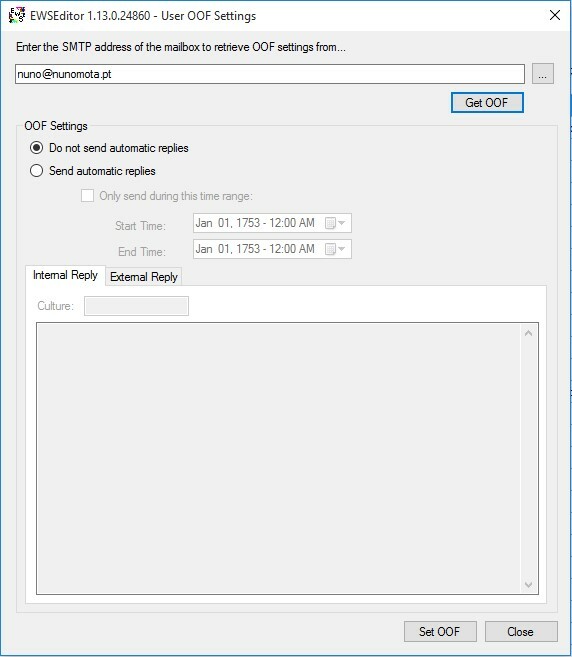 It does not require installation and unlike MFCMapi it does not require Outlook profiles in order to access mailbox items as it does everything over EWS.